I was inspired by Raw Blend’s yoghurt recipe last week, and have since been playing around with different variations. 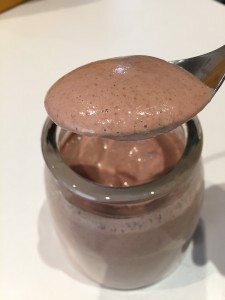 As someone who does not eat dairy and avoids refined sugars, I’m always on the look out for an alternative to yoghurt to add more variety to my breakfasts. This creation is not only high in healthy fats thanks to the fresh coconut flesh and activated, it’s also high in collagen protein and minerals. It goes well with fresh fruit, pancakes or by itself. The other must-have appliance you will need to make this recipe well is a high-speed blender – or at the very least a Nutri Bullet. I used a Vitamix 5200, which is my baby. Life got a lot better once I bought this monster of a blender 🙂 Nut butters, raw vegan ice-creams, smoothies, soups, you name it. 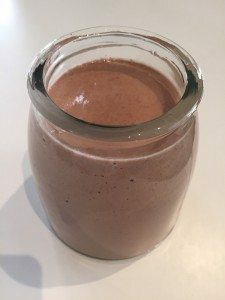 I normal blender won’t break down the nuts properly, and it won’t warm up the liquid which helps with the growth of the probiotics. 1. Activate almonds by soaking in filtered water for 24 hours. 2. Once you have finished soaking your almonds, rinse them in fresh water and dehydrate the almonds at a temperature below 46 degrees C for about 30 hours. When they are dry and crunchy you know they’re ready. 3. 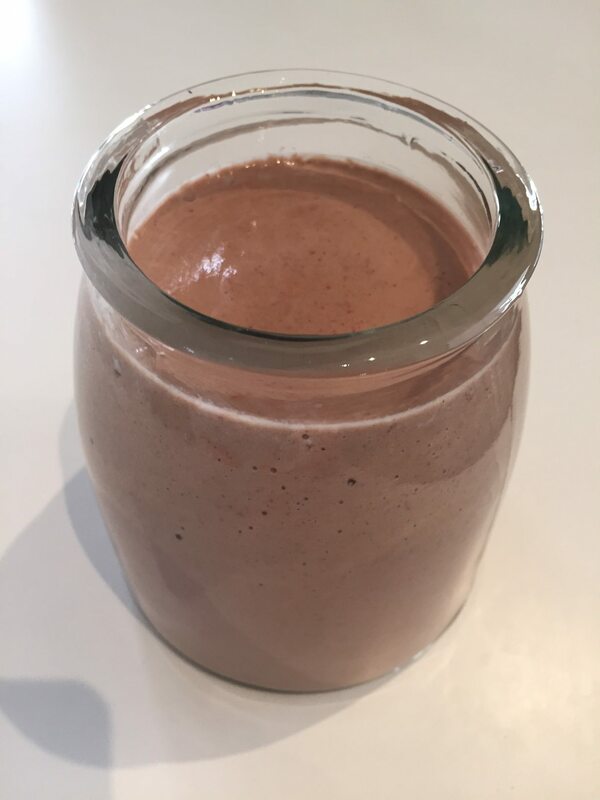 Add all ingredients to your blender and blend on high for 45-60 seconds or until desired consistency is reached and liquid is warm. 4. Transfer yoghurt into a glass jar and cover with a clean tea towel and let it sit for about 3-4 hours at room temperature. This will allow the probiotics to start to proliferate and break down the yoghurt. The longer you allow this process to happen the tangier your yoghurt will taste. 5. Seal jar and store in the fridge. After about 2 hours in the fridge the yoghurt will become firm thanks to the collagen powder. Enjoy!